We offer many ways to get involved with our club from our 'Learn to Swim' program to volunteering. Please have a look through what we offer below, to see how you can be apart of Calligo Tigers Swimming Club. We offer a complete swimming experience from Learn to Swim right through to competitive squads and everything in between. 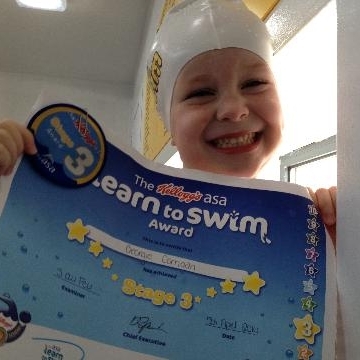 Our ASA qualified team follow the ASA Learn to Swim Pathway ensuring your child develops age appropriate skills within a proven teaching structure. Our competitive squad programme starts working towards competitive goals and aspirations. Our current squad swimmers range from competing within the Club right through to National standard, Island Games and Junior Commonwealth Games. The Club can only run on a stable, long-term basis with the help of volunteers. We always need new volunteers to come forwards and we would appreciate you giving a little of your time to help the Club and to spread the workload.